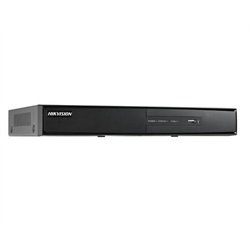 This Hikvision TurboHD DVR is an excellent choice for recording both HD-TVI, network and analog cameras and comes with adaptive access. It supports up to 16 cameras that’ll record in 1080p HD. Using H.264 and dual stream video compressing, lets this DVR to receive and transfer data without sacrificing space for image quality. The NVR comes with 2 SATA drive bays, each with a capacity of up to 6TB each. Hard drives sold separately. 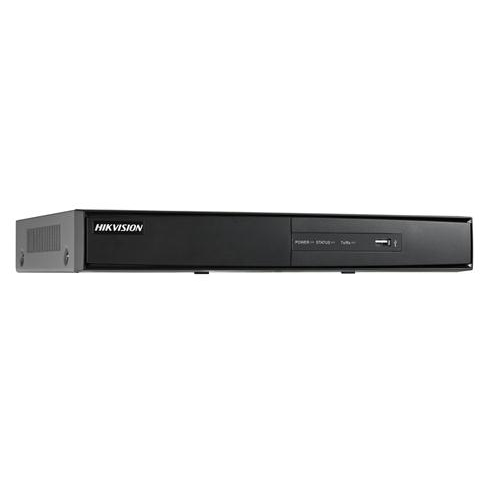 The DVR can be accessed locally by adding a mouse, keyboard and display to create a complete DRV viewing station. Aartech Canada is a Hikvision Gold Dealer Partner, so you can be sure you are purchasing only original Hikvision product with full warranty and support from Hikvision Canada. Gray market and OEM product are not supported by Hikvision Canada. Dimensions: 15" x 11.4" x 1.9"